The Void family mansion used to be a gorgeous home, until Dr. Malleus Void inherited it. Legend has it that the creepy doctor spent his time doing terrible experiments in the home, and it has been abandoned for an entire decade. After 3 world famous celebrities go missing inside the house, it's up to the Mystery Trackers to go inside the house, and solve its mysteries once and for all in Mystery Trackers: The Void! Mystery Trackers: The Void is rated 4.1 out of 5 by 113. Rated 5 out of 5 by coolang1989 from GREAT GAME This is one of my favorite games to play. It was a fairly long game with great graphics and sound quality. I have played a lot of games but this one is by far one of the best ones. The hint button loads quickly and the HO'S were easy to see but not that easy to find. The mini puzzles were challenging too. My advice to you is buy it an see for yourself. It is worth the money! Rated 5 out of 5 by FishyFemale from A haunted house with humorous touches Yes, this is another haunted house game but it's so much fun to play! The artwork is gorgeous and the HO scenes are not junkpiles, and the items within are not small but are cleverly hidden to make it more challenging. The interesting story involves three missing characters and you get to explore each one separately. The hint button is helpful enough so that you won't need a walkthrough, and the game progresses in a smooth logical way. There are lots of puzzles for the puzzle lover and they are diverse enough so that there's enough of a mix of the old and new variety. All are skipable and there are clear instructions for how to solve them. You can also earn achievements so the gameplay can be quite long for those who forego using hints and skips. There's a lot to like here so try it out for yourself! Rated 5 out of 5 by Warshonee from Brilliant Brilliant Brilliant This game rocks, one of the best I've ever played . Love the interactive pressing buttons playing with the gadgets and exploring while solving the game. Rated 5 out of 5 by JupiterMom from Great HOG! Really enjoyed this game! The story line was entertaining and time flew by! Rated 5 out of 5 by dimichan from Loved it! I absolutely loved this game. The story had enough differences to be refreshing, particularly some of the location changes. I thoroughly enjoyed playing through the sections, as it almost felt like true "parts" of a grand adventure. The HO scenes were challenging enough to be, well, challenging without being challenging in the manner of some that are so dark the challenge is seeing anything, or miniaturizing everything to the point you feel you need a magnifier to solve the puzzles. The minigames ranged from quite easy to medium-hard. While there was some back and forth, it was a bit more linear than others - so you don't feel you're spending more than half your game time doing nothing but putting time into a timesink of nack and forth'ing to place pieces or retrieve pieces not available on first (or even second, third, and fourth in some cases) visit. It was entertaining, different, and offered enough challenge to hold my interest through an extended session. I'd definitely recommend it. Rated 5 out of 5 by HPSnitch from Great HO Game !!!!!!!!!!!!!!!!!!!!! I had stopped playing HO games for quite awhile as I began to find them boring and repeatitive. After reading the reviews for this game, I decided to try it. I bought it one day and had finished it the next. I could not stop playing! The puzzles, storyline and graphics were fantastic. Just when I thought it would end, it kept going, it was GREAT. I Immediately bought all the rest in the series and can not wait to play them. As soon as I finish this review I'm going to do just that. Check this out I don't think you will be disappointed. Rated 5 out of 5 by cuorips from A great game ! One of the good ones, good ideas, great plots and mini games, I enjoyed it very much, good sense of humor, graphics are good, clear, lots of fun ! Rated 5 out of 5 by n4r3 from Awesome and Intriguing game! I loved it. not too much talking, really good storyline, keeps you interested and has a pinch of challenge! perfect! Rated 5 out of 5 by bsnbsn from Mystery Trackers: The Void This is an extremely challenging game when it comes to solving the puzzles. I found them very difficult. But the little frog that gives clues is excellent--no need to use a strategy guide--and the charging time is quick. Has a feel good ending. Rated 5 out of 5 by DrDavid from A very enjoyable HOG Elephant has created a very enjoyable HOG with very good graphics and a plot worth following. The HOS are mainly easy enough with always a few harder to find objects, but well camouflaged objects, not just obscured with darkness. The game is not dark and macabre or gruesome, but is a mystery which unfolds through the play. The plot is not telegraphed way ahead of the ending, as is too common in the genre. Most of the puzzles were fairly straightforward, but some were long enough that I skipped them when I could. Rated 5 out of 5 by coffeyfan77 from Near Perfection The first Mystery Trackers game is hugely fun, immensely replayable, and really makes you feel like you've entered another world. It's simply a must play for any fan of either hidden object or adventure games. The storyline is excellent and very deep. You are a detective called to investigate several suspicious disappearances at a strange house, and what a surprise, everything is not as it seems! The story is presented through a variety of clippings and papers that you gather and is top-notch. Generally these plots don't make sense, but this one very much does and keeps you guessing in a good way. The graphics and sound are also very solid. The hidden object scenes in particular look realistic and well rendered, and there are a few examples of animation that fit well in the story. Voice acting is minimal but acceptable. I particularly liked the layout of this game. You'll explore the mansion and the grounds, but the methods with which you use to do that are inventive and fun. No simply walk through random doors here..you even get a (sort of) car chase! This method also makes it clear where you're going and where you no longer need to worry about. 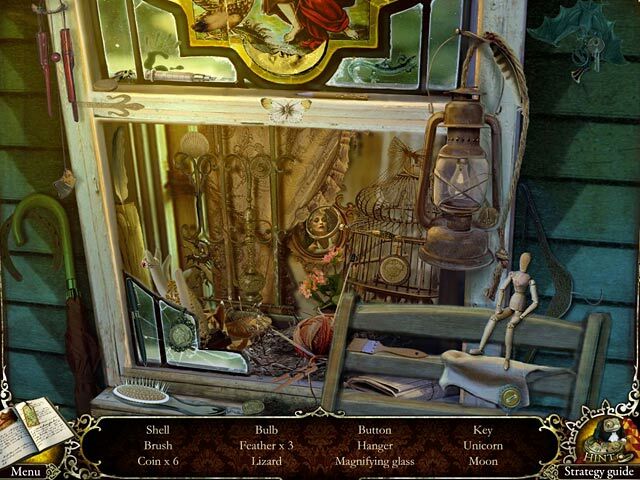 Hidden object scenes are plentiful but only need to be done once. You can also unlock a boatload of achievements for not using hints or skips. Only one level of difficulty and hints recharge very fast. My only issues with this game are minor quibbles. The biggest would be the "list form" of finding hidden objects, meaning collect "10 ladybugs" and so on. I feel that's an artificial way to make the game appear longer and quite frankly a bore. Puzzles make sense and range from very easy to devilishly challenging, but I never once wanted to skip. Well done work all around and makes you want to try the rest of the series. Rated 5 out of 5 by kaera from Splendid Bravo. Really enjoyed this smart game. Great storyline, splendid flow, great game controls. I've played both this game and the Black Isle - both are really worth the buy because of the engaging storyline, nice good length with lots of things to do, great visuals and they're smart. Rated 5 out of 5 by zubairszafar from Feels almost real! The story line and the way it unfolded was so well done that it feels like you've actually been transported into the void and are living the game itself. I love how this games got me hooked, so hooked in fact, that the first thing i did after playing it was to play it again! I finished the game on my first try without the help of walkthroughs, strategy guides, or in-game hints. The puzzles are fairly challenging but can be solved in a relatively short amount of time. This doesnt mean that the puzzles arent challenging enough to entertain you, it simply means you dont need a PhD in 5 fields to play the game. The game is well paced and the story line makes sense and keeps you thinking. The environment was very well done and sets off your imagination on a transatlantic flight. Even the sound track is good! 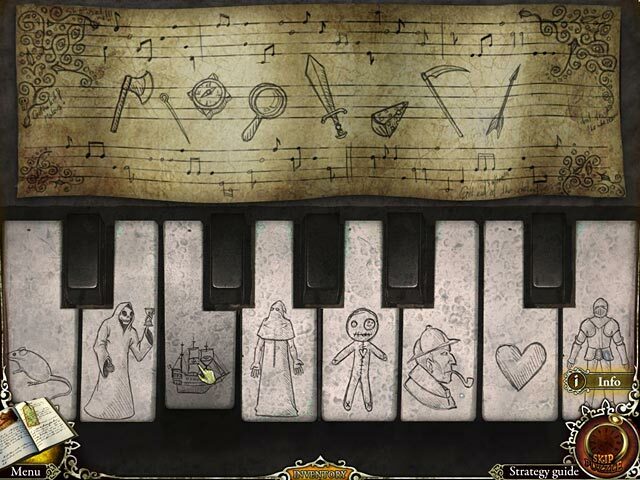 Conclusion: The game has its fair share of puzzles and hidden object scenes with a great story to tell. Whether youre a beginner or an advanced player, this game is something anyone would enjoy. My only regret is i did not get the collector's edition of this game. 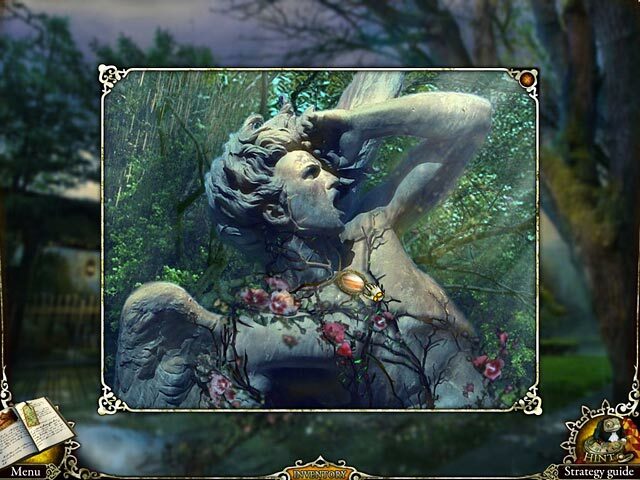 Rated 5 out of 5 by mysticrain2172 from love playing this hidden object game its a lot of fun.have a great time . Rated 5 out of 5 by fakester from Great fun! I had a ball w/ this game. Not a lot of back + forth, logical story progression and the puzzles weren't overly annoying. I think I'm going right back + play it again, which is a 1st for me. Rated 5 out of 5 by Katrover from First and still the Best Mystery Trackers: The Void is the first game in the Mystery Trackers series, and still the best. The puzzles are just challenging enough to be fun. The graphics are well-done, too. The animations are a bit jarring, though. The best aspect, however, would be the storyline. The journal allows you to keep track of the story and setting - and what a story! A pity this feature was dropped in future games. Rated 5 out of 5 by toby6336 from Forgot How Great! I decided to replay this game. It is just as great as when I first downloaded it. HO's are clear but not too easy. Some of the games are challenging; while others are easy. Story line is good and where to go is rather obvious; unlike other games where you have to go back and forth. 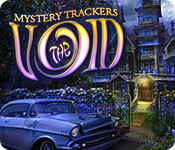 Rated 5 out of 5 by ccharrier from Mystery Trackers: The Void Excellent Game! Longer and more challenging then most I've played lately. More bang for your buck!! Rated 5 out of 5 by iheartmy1dog from Fun game! Just finished playing this game and it was a lot of fun! Rated 5 out of 5 by jeff_g88 from Great Game I liked how this game was a bit longer than most of this type that I have played. Was fun to play and kept me thinking. Rated 5 out of 5 by Isabella3032 from Love This Game! This game brought me the closest to the feeling of actually being in the story. The storyline was great and keeps you guessing, the Diary was full of interesting and important clues, not just a rehash of what you just saw or a place to keep numbers. Everything made sense and most of the time I had a good idea of where to go next (except for a few times). The hints are good not just "There's nothing to do here". I will be playing this game again and again because the puzzles were excellent, yet not so hard that I got frustrated. The achievements are a nice feature too. I am going to get the next one in the series and I hope they make a lot more! Rated 5 out of 5 by gryhndlvr from Kept me going I'm so glad I gave this one a try, thought can't go wrong for $2.99. It sure beats Raincliff any time. That's just me. You never hold on to too many items, you can usually use them soon after. Story is very interesting, it just kept me going. Graphics are very good and interesting. There are many unusual places to visit, you don't need a SG, story will lead you through, however I do like to read the journal. Length is very good, only played the regular game, not the CE. You definitely get your money's worth. The " beasts" are too cute, especially the ape. Give it a try. Rated 5 out of 5 by Bellecarta from Very Impressed I was surprised by how much I enjoyed this game! The puzzles were great and there is about an even weightage between HOG scenes and puzzles. While some of the HOG scenes were junkpiles, the objects you have to find are all quite clearly visible. I didn't have to squint to spot them. The visuals for this game was beautiful. Nothing too gloomy and I loved all the different locales you ended up visiting. I did get a bit scared at times - especially when the Teddy Bear started singing but it really added to the atmosphere of the game. The best thing about this game is that its longer than most HOGs. I think I took about 6 hours to complete and I really enjoyed reading all the different portions of the story line as you collect them in the journal. Very good mystery game and satisfying ending. Also wanted to mention, the game fit very nicely on my widescreen monitor. There was no lag and everything ran smoothly. Rated 5 out of 5 by ciminie from Great Game I loved this game! It has a lot of suprising twists and turns. Rated 5 out of 5 by sally_string from Another Excellent Mystery Trackers Game Loved it from start to finish! Rated 5 out of 5 by bearlybrave from Filled the "Void" This was a really fun game. The graphics are fantastic, the music was very well done, voice overs and storyline were good. The cutscenes were short, but very well done. You can earn acheivements which adds to the fun. The HOs were clear & "crisp". In other words you were not looking at a lot of fuzzy areas. The puzzles were good going from easy to above average. No game modes, oh well. No map either, but game play is fairly linear. I would say this game was longer than average for me. I loved the game and would recommend it to all levels of player. Rated 5 out of 5 by catkrazy23 from Great game Excellent game, very enjoyable. Great game play and nice graphics. Help the secret organization of Mystery Trackers find 3 missing celebrities in the mysterious Void family mansion!